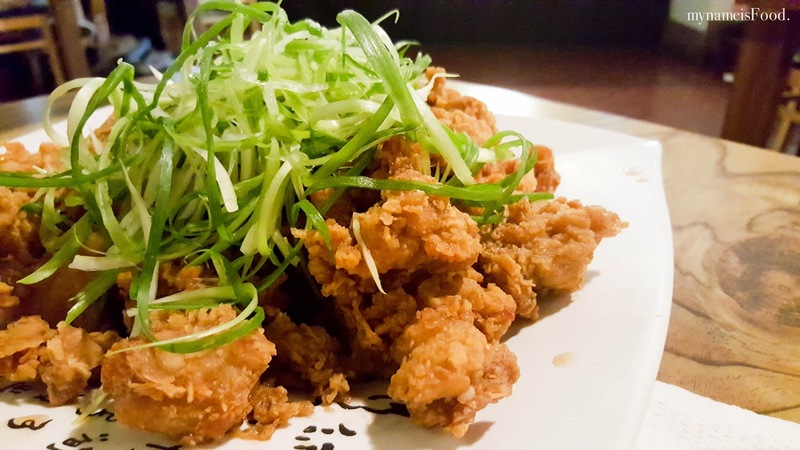 Funny Funny Korean Restaurant & Pub, Mary Street, Brisbane CBD - my name is Food. 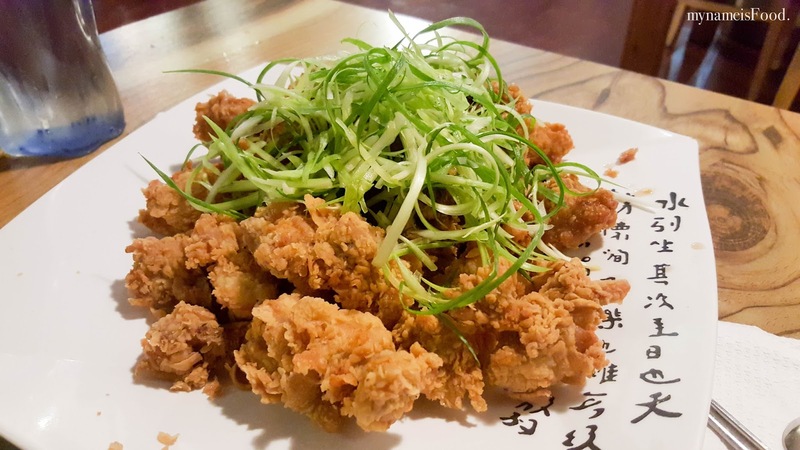 Funny Funny has been around since I can remember, opening till 3am serving fried chicken, your classic korean dishes and of course, beer. Until now, it has been a hip place for people to hang at as well as some of their wooden walls are now 'freely' being graffitied and diners are encouraged to do so. Having a not so hungry tummy, we decided to have something to share but not too heavy, and so, we bought a plate of boneless fried chicken..
'Boneless Fried Chicken' (AUD$29) has a few flavours you can choose from including original, soy sauce, garlic, cheese, hot chilli etc., all topped with thinly sliced spring onions. We chose Soy sauce as we weren't feeling very adventurous but soy sauce is always safe in a way. 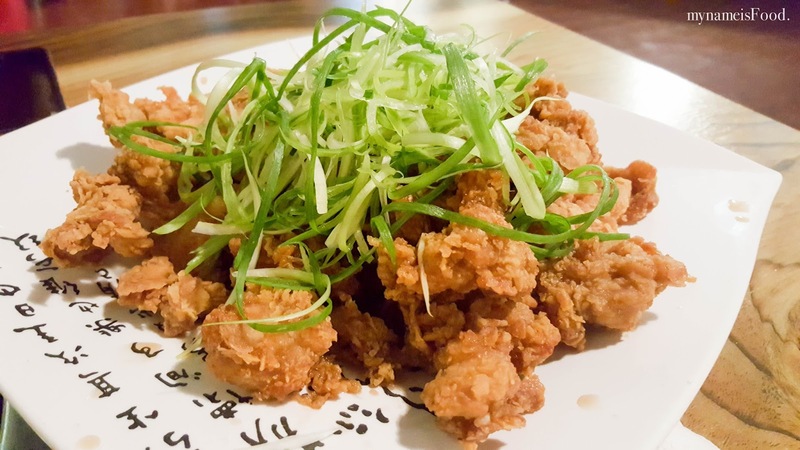 It had the depth of soy sauce flavour however it was a shame when some bits of what you thought were boneless fried chicken but instead were just pieces of batter leftover.